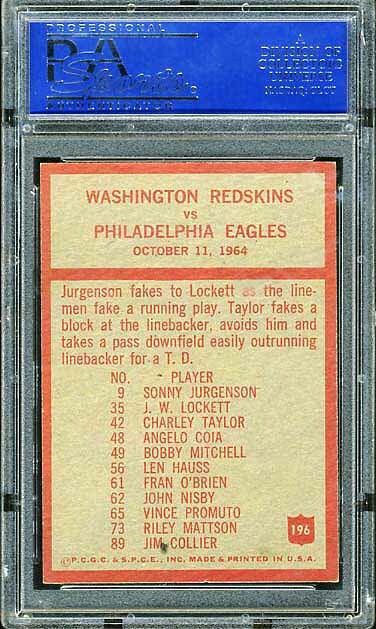 The 1965 Philadelphia set is my favorite of the Philadelphia sets. 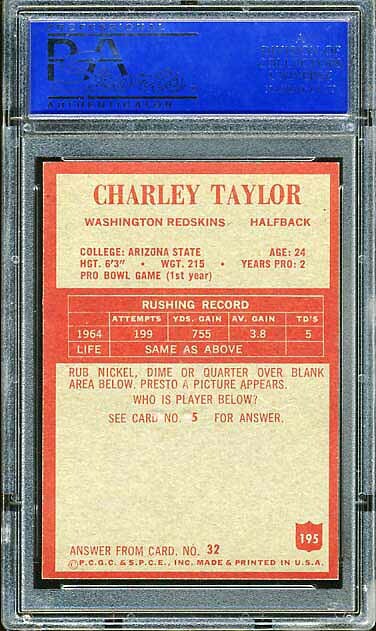 It features the rookie cards of Charley Taylor and Paul Krause. 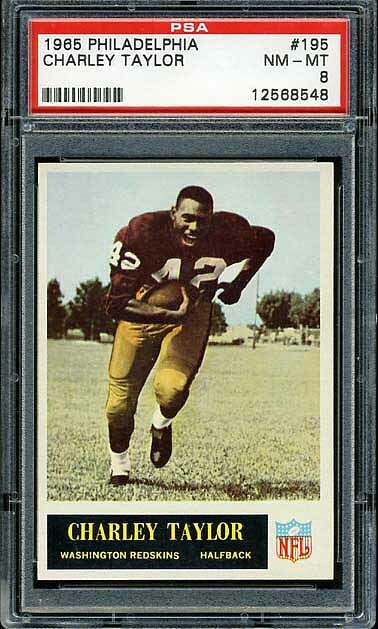 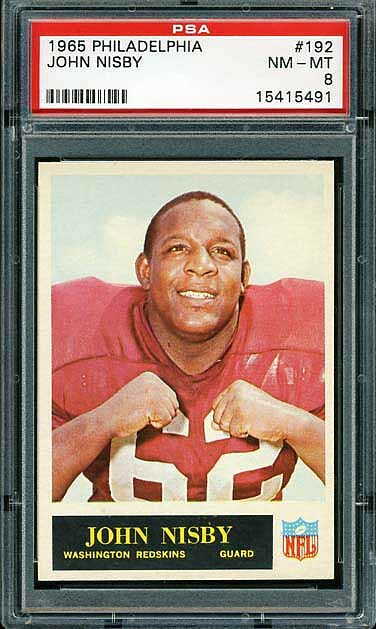 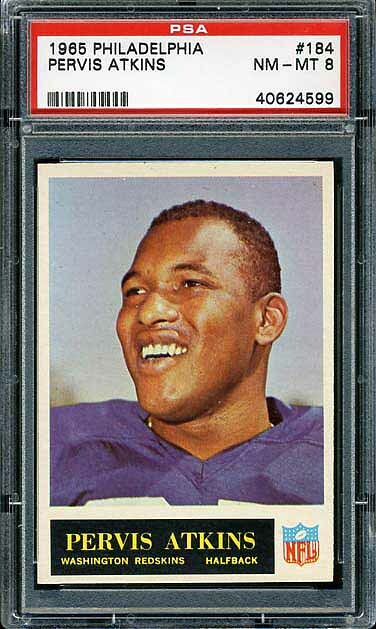 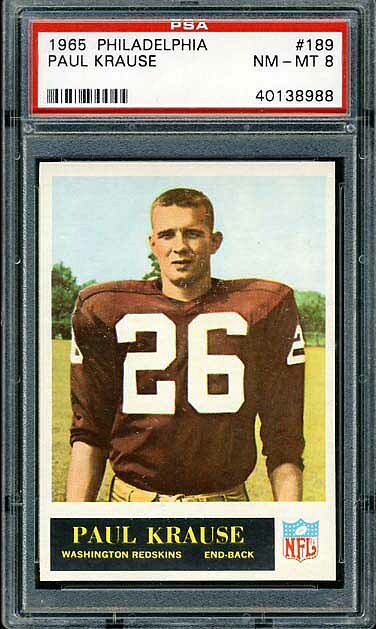 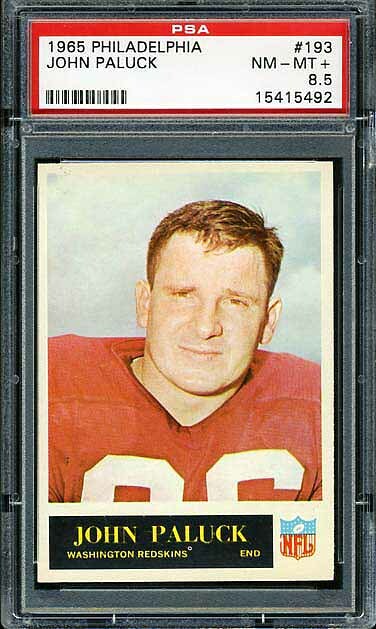 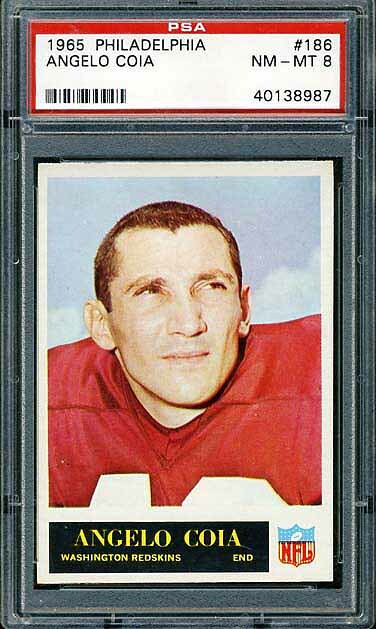 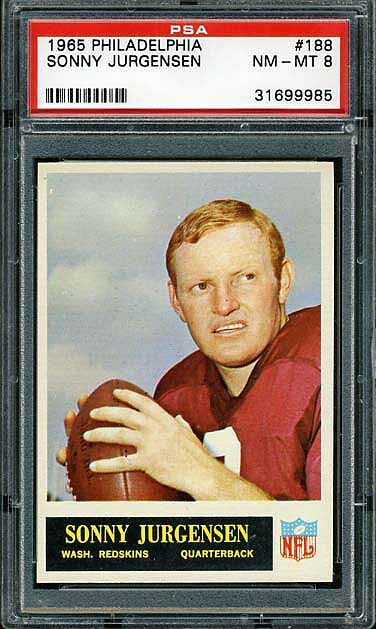 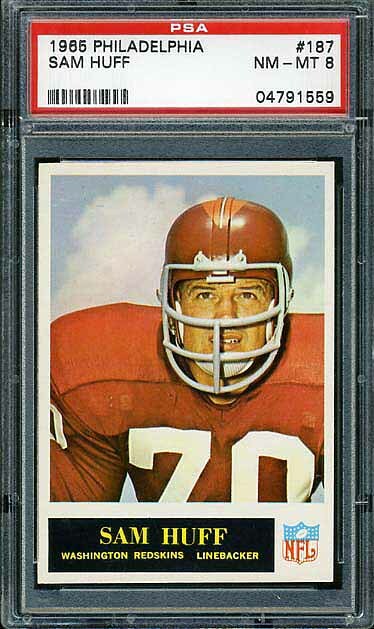 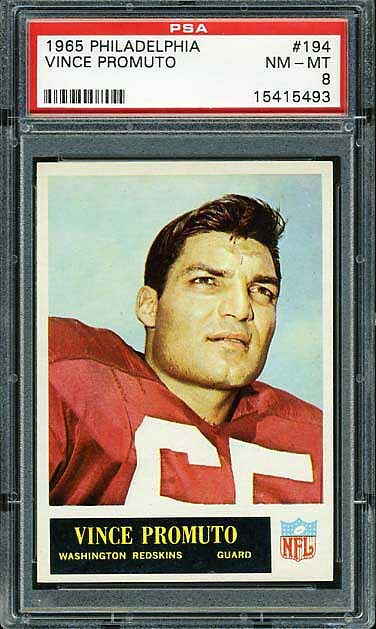 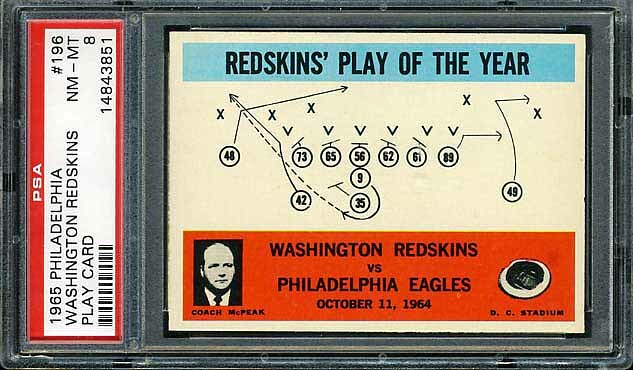 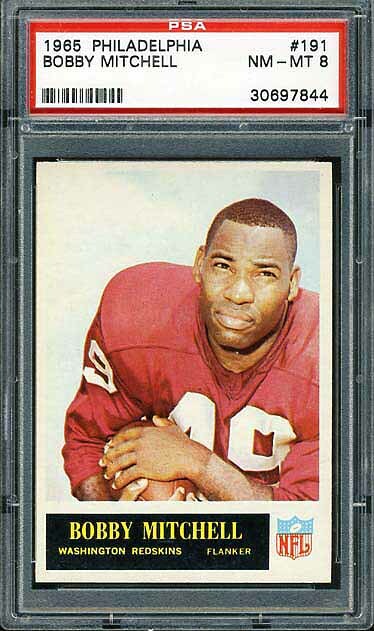 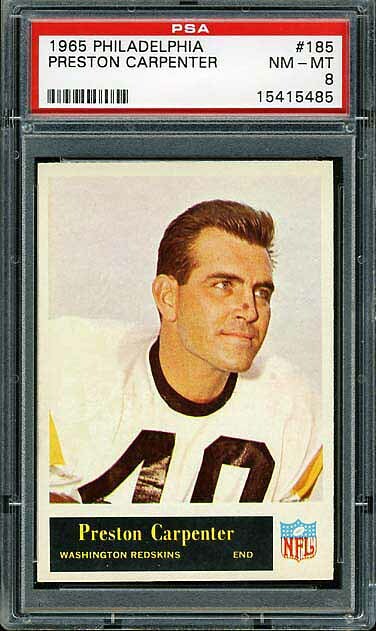 The Charley Taylor rookie card is one of the nicest looking Redskins cards around. 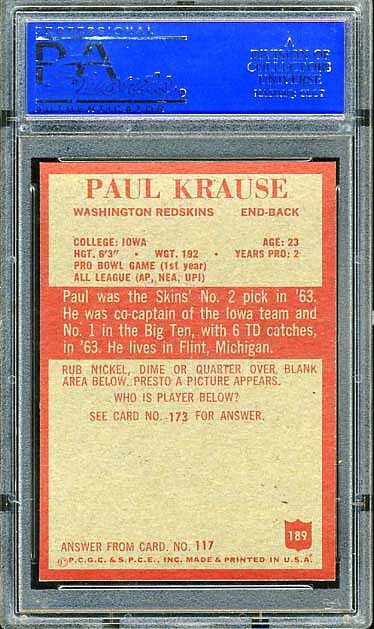 The story of Paul Krause will be told in the blog. 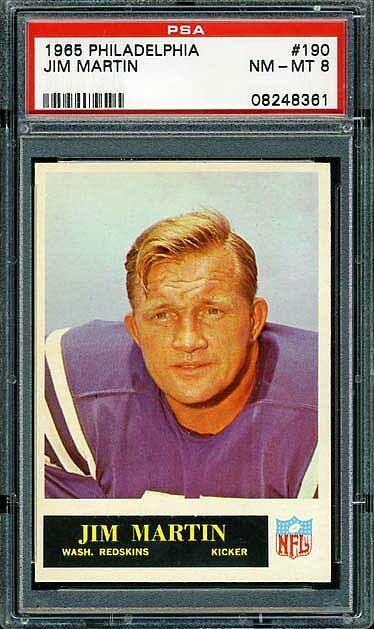 Krause is the Hall-of-Famer that we let get away. 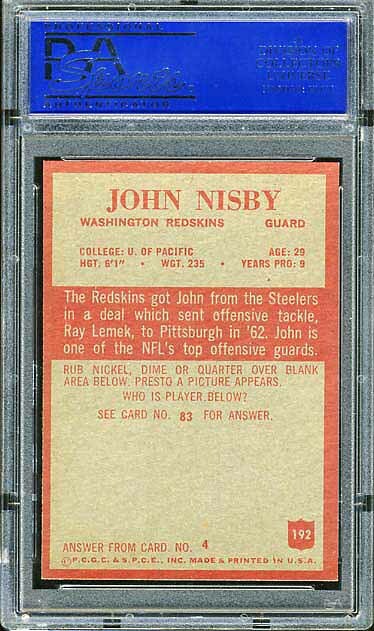 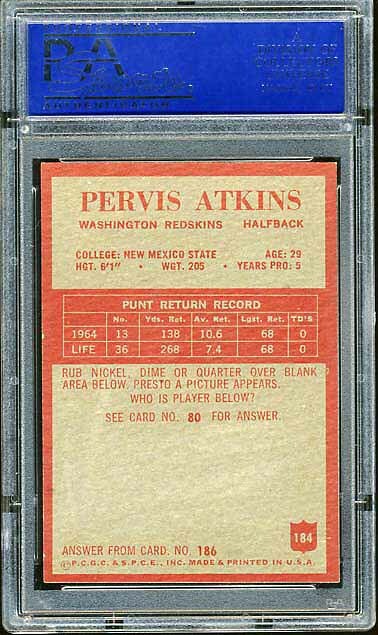 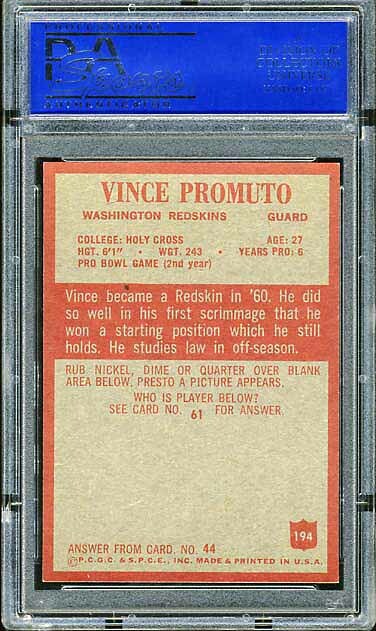 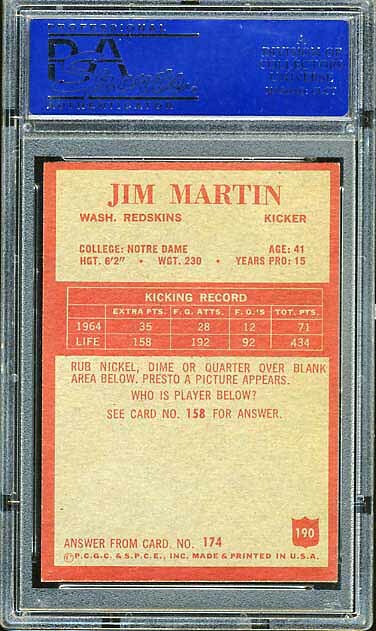 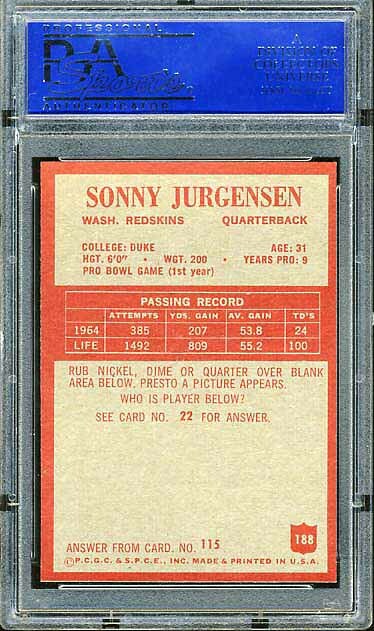 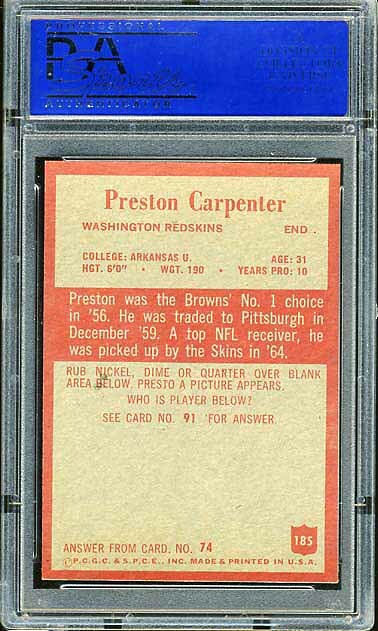 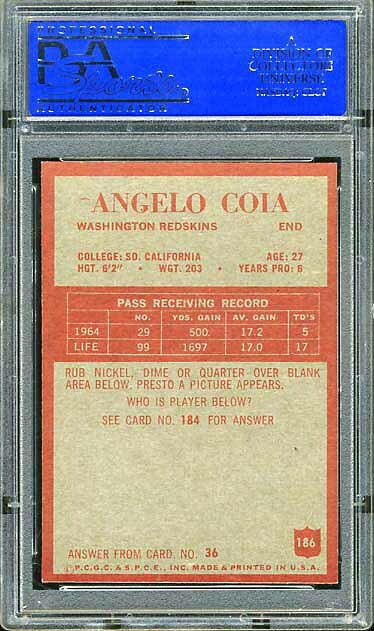 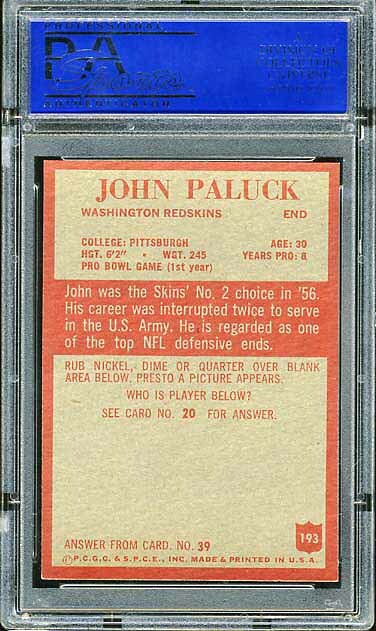 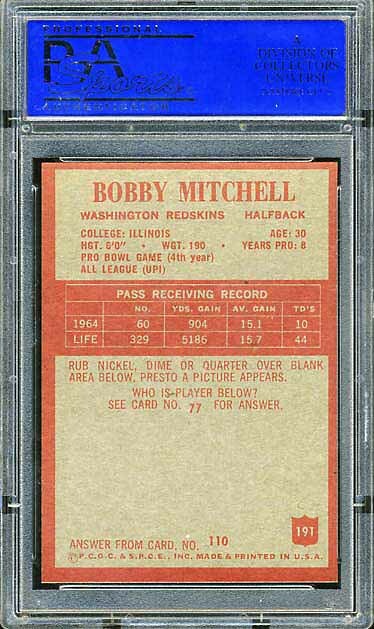 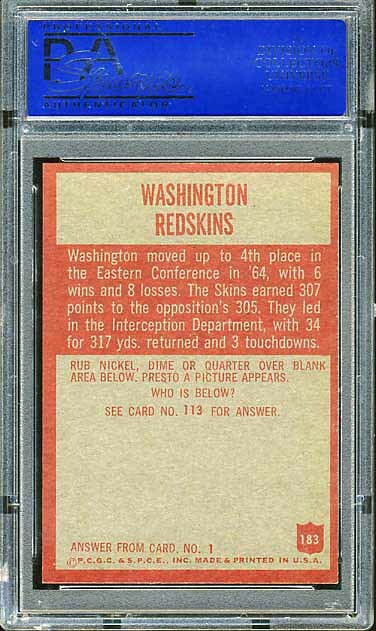 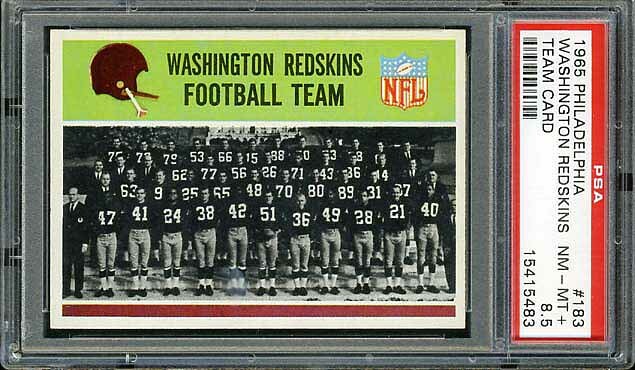 The complete Redskins team set appears below.